I read this article and found it very interesting, thought it might be something for you. The article is called Delhi Continues To Top World’s Most Polluted Megacities List: WHO and is located at https://archive.indiaspend.com/cover-story/delhi-continues-to-top-worlds-most-polluted-megacities-list-who-17020. Delhi’s air is the worst among world megacities, the World Health Organisation (WHO) confirmed recently, even as IndiaSpend‘s #breathe network of air-quality sensors reported fine-particulate-matter (PM2.5) levels were almost four times above daily safe levels, on average, for the seven-day period from September 22 to 28, 2016. 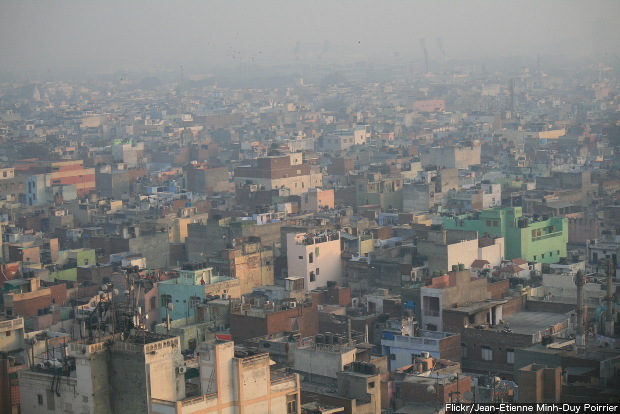 Over the monsoons, Delhi’s air was relatively cleaner because the rain and wind diminished the impact of pollutants. But with the season changing, three of our five sensors in the National Capital Region (NCR) registered “poor” to “very poor” air-quality levels from September 22 to 28, meaning prolonged exposure affects healthy people and “seriously impacts” those with existing disease. India’s capital was the only megacity to record a PM10 level above 200 µg/m³, exceeding the WHO air quality standard of 20 µg/m³ by more than 900%. Even Kolkata and Mumbai—recording PM10 levels of 135 µg/m³ and 117 µg/m³ respectively—had air worse than the biggest Chinese cities. Within India, the smaller cities of Gwalior and Allahabad measured the worst levels of ambient air pollution at PM2.5 levels of 176 µg/m³ and 170 µg/m³ respectively. A significant portion of northern India falls in a zone with “critical” air pollution—reporting PM2.5 levels of over 70 µg/m³ in the WHO’s mapping of air pollution and population. The WHO’s new air-quality model, it’s most comprehensive yet, is based on information from satellite measurements, air-transport models and ground-station monitors for more than 3,000 urban and rural areas across the world. It analyses this with population data in a grid pattern area of 10 sq km. It was developed by the WHO in collaboration with the University of Bath, United Kingdom and confirms that 92% of the world’s population lives in places where air quality levels exceed WHO limits. Up to 97.5% of Delhi’s 16.8 million people live in urban areas, and the city has a density of 11,297 persons per sq km–making it one of the densest regions in the country–according to Census 2011 data. Some three million deaths every year are linked to exposure to outdoor air pollution, according to the WHO. Nearly 90% of air-pollution-related deaths occur in low- and middle-income countries, with nearly two out of three occurring in WHO’s south-east Asia region (of which India is a part) and the western pacific region. Inefficient modes of transport, household fuel and waste burning, coal-fired power plants, and industrial activities are the major sources of air pollution, the WHO said. Shocking to read about the fast deteriorating air quality in our metros, worse than even Shanghai and Beijing. We’re set to outstrip China on population in 2022, and have already given our ever increasing population the curse of air-borne diseases.